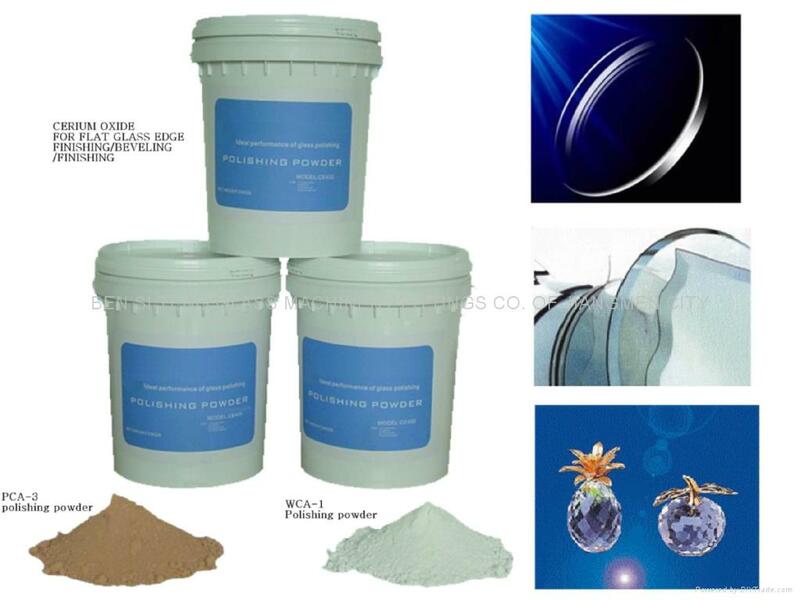 Our brand of rare-earth polishing powder has been widely used in the technology of glass for the end polishing, such as flat glass, optical glass, conductive glass, extra-thin glass, and screen (glass shell), glass lens, and crystal glass, etc. This polishing powder is the best quality, with quality better than that of NED polishing powder of Japan and other same products in the domestic. It can increase polishing efficiency by 2.5-6.6 times as against the NEG polishing powder of Japan.